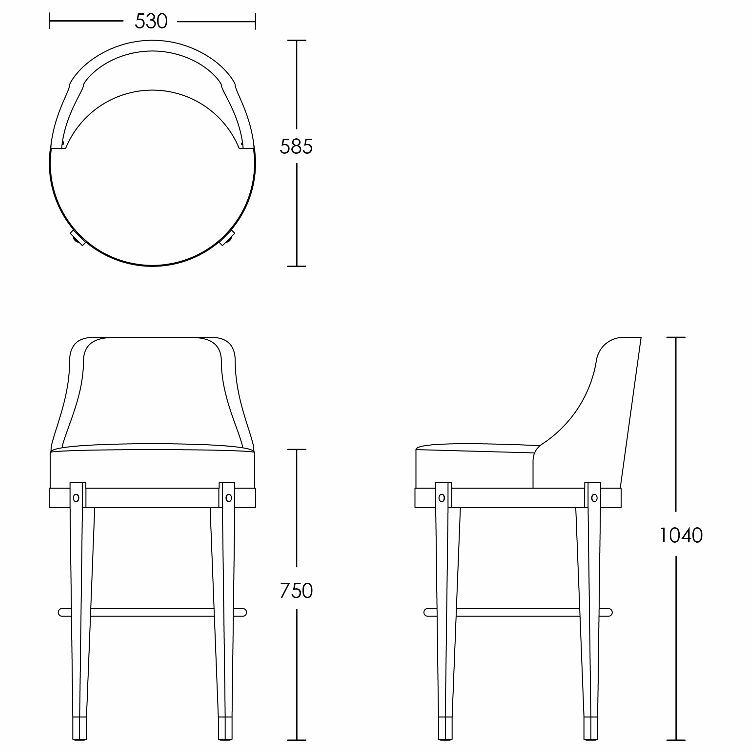 The Bulmer Barstool has a curved back that envelopes you while you sit. Suited for bar areas either classic or contemporary in scheme. The metal foot rail, buttons and sabots give a design detail to enhance any scheme.